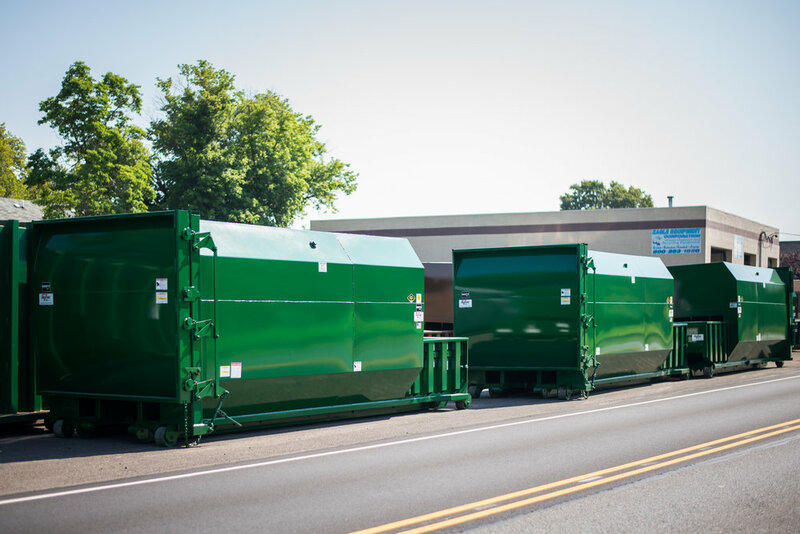 Whether you need self-contained, stationary or vertical compactors, recycling balers, an auger or shredder, or a custom container for a specialized application, Eagle Equipment Corporation representatives are available for on-site surveys, recommendations, and proposals. Need equipment in a hurry? Eagle Equipment Corporation maintains a full inventory of new (20+ units) and used compactors and balers. When circumstances warrant, we often can deliver and install within 24 hours. Just looking for a power unit? Click here to see a list of new and used units available for quick delivery. Custom fabrication: Our in-house fabrication shop provides the capability to handle any and all fabrication requirements, from standard hoppers and decks, to chutes and dock enclosures specific to any application. By fabricating our own accessories, we can cut the time between order and delivery from weeks to days, while maintaining complete quality control and the ability to make subtle changes to standard components when a customer's situation calls for it. Multi-story chutes and 20,000 lb. capacity decks are only a few of the special fabrication projects that we handle on a routine basis. Standard doghouse loading enclosures, hoppers and walk-on deck assemblies are built for and kept in stock at all times. Rental and leasing: offered through our exclusive affiliate. Equipment Resources Corporation. ERC can customize financing, or provide standard leasing and rental agreements, without red tape or fine print. to walk you through the process.